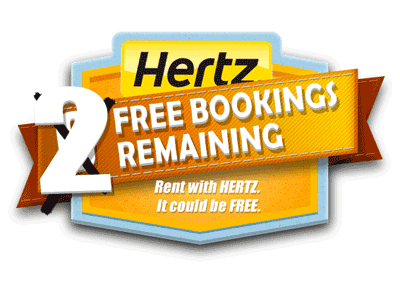 Hertz Rent it Free - VroomVroomVroom Car Rental Australia. Congratulations to all the winners! This promotion has now ended. Receiving something completely free feels nice doesn't it? So over the next 6 weeks we plan to make 6 lucky customers feel really nice by giving away free car rental. Stick to the guidelines below and you are in the draw. If you win, expect a call from one of our awesome VroomVroomVroom staff members. Rent and return your Hertz car rental between October 26th and 1st January 2013 and you could get it free. Free Rental 5: Victoria W won $160.78. Rented at Brisbane. Free Rental 6: Gayle L won $138. Rented at Adelaide. Bonus Rental 1: Erickson J won $156.78. Rented at Brisbane. Bonus Rental 2: Clement M won $134.20. Rented at Launceston. Bonus Rental 3: Colin N won $395.55. Rented at Cairns. Bonus Rental 4: Glen N won $115.29. Rented at Brisbane. Prize is for the total cost confirmed on VroomVroomVroom. Optional Extras are not included.